Born: 19 March 1923, Rome, Italy. A.k.a: Giuseppe 'Peppino' Rotunno. Career: Entered the film industry as a still ph at the Cinecittà Studios at the age of 17. Was drafted in 1942 and send to Greece as film reporter for the Supreme Headquarters of the Italian Army. Was captured by the Germans in September 1943. Freed by the Americans in 1945 and returned to Italy where he became a c.asst. Worked for many years with doph G.R. Aldo. Became [again] doph in 1955. Member and past president of the AIC. Member of the ASC since June 1966. Also active as superv of film restorations, e.g. 'Il gattopardo' [in 1983; ph: G. Rotunno], 'Roma' [in 2002; ph: G. Rotunno], 'Pane, amore e fantasia' [in 2002; ph: Arturo Gallea] & 'Una giornata particolare' [in 2003; ph: Pasqualino De Santis]. Teaches at the National Film School in Rome since 1988. Orio Caldiron wrote the book 'Giuseppe Rotunno - la verità della luce' . Appeared in the doc's 'Direttori fotografia: Rotunno/Six Kinds of Light: Peppino Rotunno' [1983, Massimo Magri & Gianpaolo Tescari], 'Ljuset håller mig sällskap/Light Keeps Me Company' [1999, Carl-Gustav Nykvist], 'Fellini: Je suis un grand menteur/Fellini: I'm a Born Liar' [2001, Damian Pettigrew], '[The Life and Times of Count Luchino] Visconti' [2002, Adam Low; ph: Dewald Aukema] & 'Federico Fellini - Through the Eyes of Others' [2003, Eckhart Schmidt]. Awards: BAFTA Film Award nom  for 'Il Casanova di Federico Fellini'; 'Oscar' AA nom  & BAFTA Film Award  for 'All That Jazz'; David di Donatello Award  for 'E la nave va'; David di Donatello 'Luchino Visconti Award' ; David di Donatello Award  for 'Mio caro dottor Gräsler'; Venice IFF 'Pietro Bianchi Award' ; ASC International Award ; Camerimage Lifetime Achievement Award ; AIC Premio alla carriera [Career Award] . Giuseppe Rotunno started out from very humble beginnings. As a boy, he never entertained ideas of going into the film business; it was the death of his father, when Giuseppe was just 17, that prompted him to seek work anywhere he could find it during the difficult pre-war days of 1940. He got the only available opening at Cinecittà Studios: a job helping out in the studio's photography lab, which was run by the three Bragaglia brothers. One of them, Arturo, gave him a Leica still camera to experiment with on his days off. "On Saturdays and Sundays, I started to make some photographs of my own," Rotunno recalls. "Then on Monday, Arturo gave me permission to bring in my photos. I started to learn about what was happening with the light, the film, and other things, and I began to love it. It soon became part of my life." 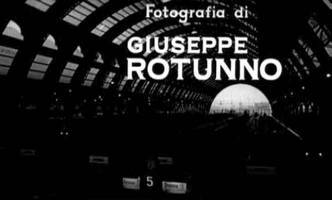 Within 18 months, Rotunno graduated from developing pictures to becoming an on-set still photographer at Cinecittà. "Arturo helped me move to the camera department, because he felt it was important for me. I became a camera assistant." By the early 1940s, Rotunno was serving as a camera assistant and operator. Meanwhile, he was also getting his first experience as a director of photography by working on some 10 documentaries for Michele Gandin. Before he could make any more headway in his homeland's film industry, Rotunno was drafted into the military during the darkest days of World War II, serving as a combat photographer in the Italian army's film unit. "I was in the service, shooting alongside reporters, from 1942 until April 11, 1945," Rotunno says. "That's when I was liberated by the American Army in Germany, where I was a prisoner." Landing a job in Italy was much harder after the war, however. Although Rotunno returned to Rome in September of 1945, it wasn't until 1948 that he was able to pick up where he had left off. "I started again as a camera assistant, made a little salary, and occasionally worked as a camera operator." During this time, Rotunno amassed more technical knowledge while working on at least 25 films. He recalls, "They often used more than one camera - in fact, they used three cameras sometimes. They would put me by a camera and say, 'Stay there!'" It was a tragedy that propelled Rotunno to prominence as a director of photography. 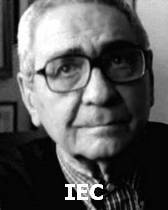 He was operating for revered cinematographer Aldo Graziati [G.R. Aldo] on Visconti's 'Senso', and in November of 1953, near the end of production, the company moved from Verona to Venice. Meanwhile, Rotunno went to Rome to discuss 'L'oro di Napoli', Graziati's upcoming collaboration with Vittorio De Sica. There, he received word that Graziati had been killed in a car accident. Devastated, Rotunno returned to 'Senso', and production resumed for a time with British cinematographer Robert Krasker. 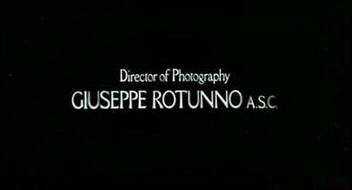 When Visconti and the Englishman failed to click, the director asked Rotunno to take over as director of photography. In 1955, De Sica remembered Graziati's talented camera operator when he was preparing to shoot 'Pane, amore e...'. While Dino Risi is the film's credited director, Rotunno recalls that De Sica controlled the production. The 30-year-old Rotunno's first major film as a cinematographer was especially demanding because it was shot almost entirely on location. 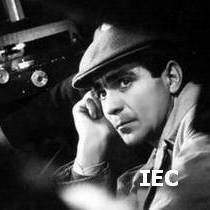 The project was also one of the first CinemaScope productions in Italy. To prepare, Rotunno traveled to London to observe production of the Anatole Litvak's CinemaScope romance 'The Deep Blue Sea', which was photographed by Jack Hildyard. The experience helped Rotunno immeasurably when shooting commenced on 'Pane, amore e...', although the challenges were considerably different on De Sica's seaside, location-based romantic comedy. "Because we were shooting in CinemaScope, and due to the quality of the film stocks at the time, it was very difficult to balance our interiors against the bright light of the ocean exterior," Rotunno remembers. "After all, we're talking about 43 years ago." Rotunno also forged a strong artistic bond with Luchino Visconti. "In certain ways, Visconti was my father in my job," Rotunno says. "I did many films with him from 1951 on, first as a camera operator, and later as a director of photography. I had that relationship for work, for life, forever." 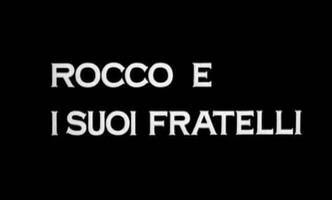 Visconti started a unique cinematography tradition on 'Rocco e i suoi fratelli', which he observed on every subsequent film he made with Rotunno: each scene was shot using three cameras, not for coverage but for continuity. "Each camera captured its own piece of the story," Rotunno explains. "When the actors filmed a short segment and we changed the shot, re-lit, and started again, we sometimes lost the vibration of the performance. By shooting with more cameras, Visconti could film a big piece of the story all in the same moment. The scene would start before one camera, and then we'd move in another camera; the scene would continue to play until the actors left the second camera and we picked them up with the third camera. 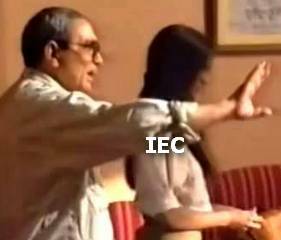 For the director it was much better, but it was terribly difficult for me, because there was no room for the lights. Practically everything was in the shot except the corner where we placed the cameras." Rotunno's most famous collaboration was with Federico Fellini. 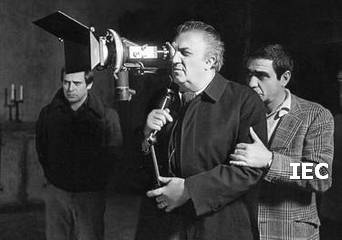 Fellini approached the cameraman to work on a film about a musician, 'The Mastorna Journey', but then became ill. "I stayed with Fellini for a year, doing all the things you do for a friend who is very sick," says Rotunno. "The film was postponed, but Fellini told me I couldn't leave him." Fellini and Rotunno finally began their collaboration on the highly regarded 'Toby Dammit' segment of 'Histoires extraordinaires/Spirits of the Dead', an omnibus film based on tales by Edgar Allan Poe. Rotunno's brilliant reddish lighting lent an eerie, dreamlike quality to the film's opening sequence, in which the titular character arrives in Rome at sunset; the lighting effect simulated the character's druggy point of view, with the "sunset" lingering long after the sun had actually set. The filmmaking duo next teamed on the opulent 'Satyricon'. The largely stagebound film was shot over eight months, and Rotunno delighted in capturing Fellini's bizarre tableaus while exercising extreme control over his cinematography. Rotunno and Fellini reteamed on 'Roma', an impressionistic portrait of the Eternal City. 'Roma' broke with the usual baroque look of Fellini's films; in terms of visual style, it was more like a throwback to Rotunno's documentary reportage. "It's a memory film, but it is really realistic in the memory," the cinematographer says. "I was born in Rome, and I knew the city well, so it was much easier to reproduce it in a realistic way. When we shot the traffic jam [on the autostrade], we put a big Chapman Crane on a camera car and drove around. The whole crew tried for several days to catch the ambience, but we never got it. The reality in this case worked against the memory, so we had to re-create it in the studio." Fellini's 'Amarcord' is an affectionate memory piece about life in the director's hometown of Rimini during the 1930s. Featuring an array of lovably eccentric characters, the picture remains one of the director's most popular works. "I knew all of the characters personally, because I had met them with Federico many, many times before we started shooting," Rotunno notes. "In a way, I tried to put my memory in a condition very close to Federico's. What is in the film is just a small representation of the real characters. I guarantee that if we had portrayed them in a realistic way, it would have been most unbelievable!" 'Amarcord' begins with the townspeople of Rimini building a huge bonfire on a pier to celebrate the end of winter. Rotunno used warm red gels to lend the lighting a nostalgic feel as Fellini introduced his characters. "The cameras went close in and followed the actors, and never came out further until the end of the film, when the young boy is again alone on the pier," Rotunno says. "The idea was to put the audience inside of the story from the beginning to the end of the picture." One of the tougher Fellini assignments was 'Prova d'orchestra', which presented an orchestra as an allegorical microcosm of a troubled world. The film was made for television and shot on one set over a modest four weeks, after the director's ambitious contemporary fable 'La città delle donne' was postponed. Rotunno's last collaboration with Fellini was the whimsical fantasy 'E la nave va'. In one of the film's most memorable scenes, a group of musical artistes touring the ship happen upon the boiler room, where they give an informal recitation. "That sequence was shot on a very tall stage, which made it easier to light because there was more room - it's much easier to control the illumination when you can place lights farther away. When I can move, I can do everything! The lights were placed above and below the actors. Below, it had to be very dark, so I used a reddish color that came from the fire inside the boiler as the coals were stoked. Above, I used golden light on the faces of the singers, using a window behind the doorway as the motivation. The two types of lighting were intended to signify hell and paradise." After completing work for 'E la nave va', Fellini called Rotunno to make three extravagant TV commercials for a large Italian bank, but fate determined that the two friends had worked together for the final time. "We always talked about doing another film," Rotunno says. "When Federico was sick, he was in the hospital in Ferrara, a beautiful town in northern Italy. When I went to visit some relatives there, I called Federico, and we talked and talked. He was very weak, but he told me, 'Peppino, listen, why don't we meet next Saturday in front of Cinecittà?' I think he didn't want me to see him in the hospital. Unfortunately, he never arrived at the studio." [Right] with dir Federico Fellini - "Casanova"
The Good Ship Ulysses [Nikita Mikhalkov] ?